I've been given a Truck-Lite model 27250C for evaluation. It is an Light Emitting Diode -based drop in replacement for a 12 volt standard 7" headlamp with high and low beam. Since there's only one, I've installed in in my XS650. Initial indication is that the beam pattern is a bit strange. The beam is strongest in a small square in the center, with a wide pattern without much vertical dispersion. Looking into the lamp is absolutely dazzling. 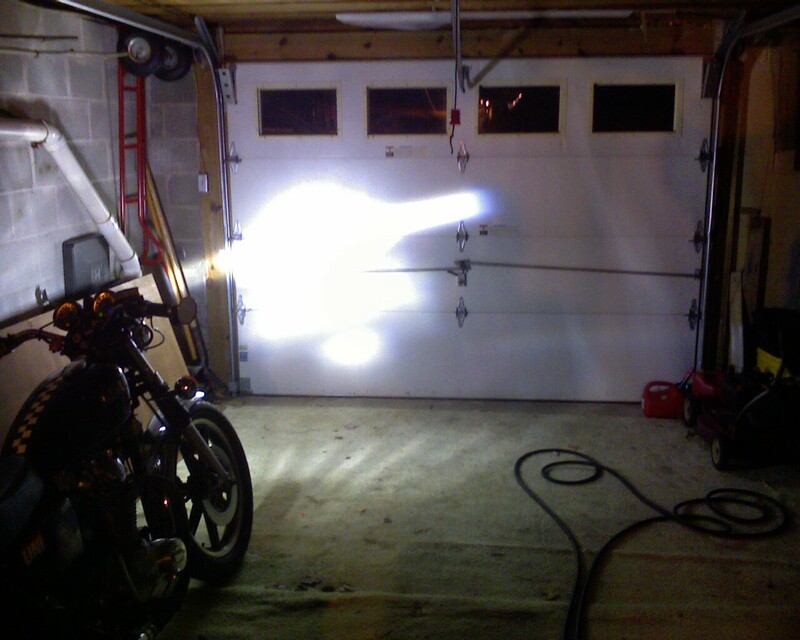 This first photo is the low beam setting compared to the beam cast by the single 3 Watt Luxeon LED installed in the Sunbeam S7. There's a big difference in intensity. The single Luxeon is feeble in comparison. This second photo is the high beam setting on the Truck-Lite headlamp. (The single Luxeon was turned off in this photo). There's not tremendous difference as captured by the camera, but in person it is a very intense light. The brightest part is very focused, and the dispersion away from that point is rather poor giving very intense light only at that specific point. 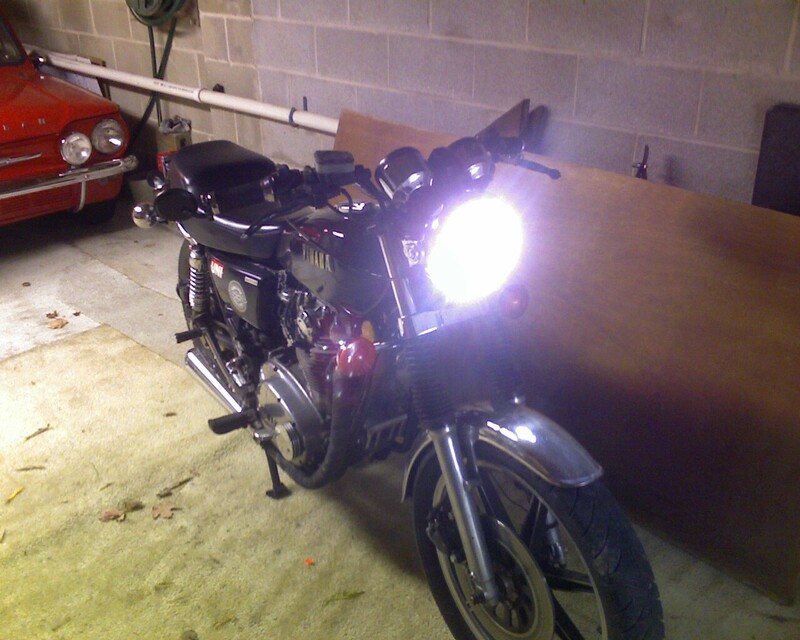 Ride to work on Monday morning should provide the practical nature of this LED headlamp. The initial test and adjustment is complete. I just took it for a spin around the block this evening, and the results are rather good. The low beam setting is a little disappointing because of the narrow beam. 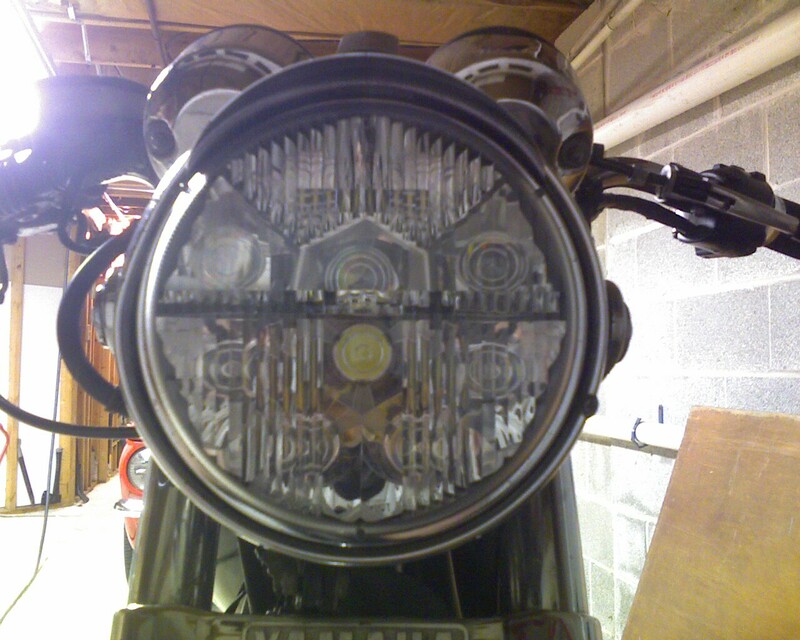 The high beam however is a significant improvement to the incandescent headlight. The LED light on high beam is quite good. I can't recommend it wholey due to the low beam issue however. I finally got a full trip into work and back. The low beam isn't as bad as I first thought it might be. 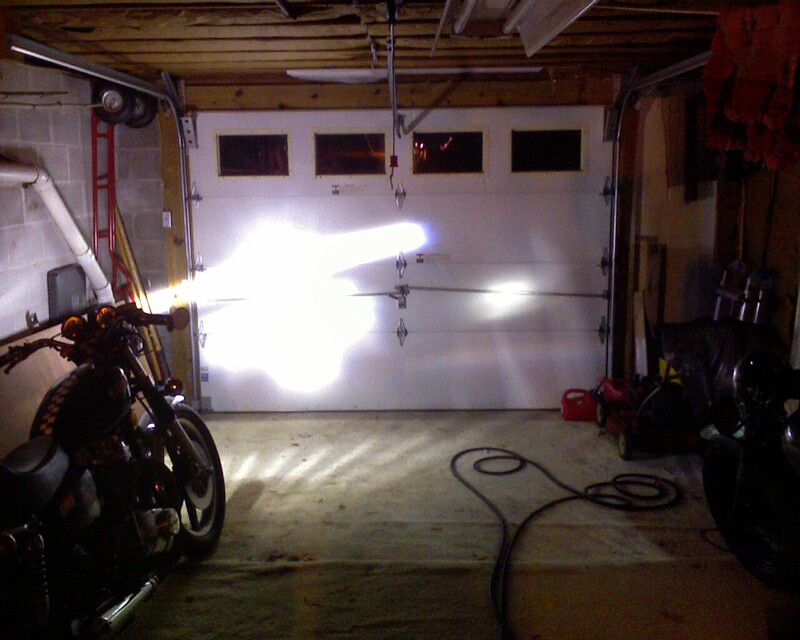 The high beam is certainly much better than a conventional bulb. I could see perfectly adequately with the low beam around town and also out on the country roads. 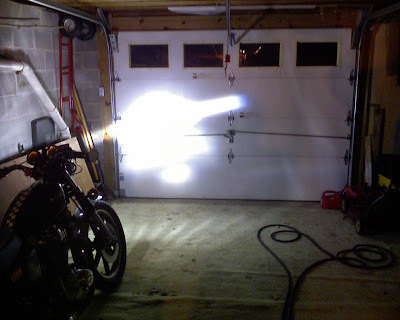 The focused low beam really does prevent coming traffic from being dazzled by the most concentrated portion. The high beam is the whole reason for this type of headlight. It does really work well.